In the early 20th century, Stella is born in the small village of Ievoli, Calabria; she is a quick-witted,beautiful girl who escapes many bizarre near-death experiences throughout her lifetime. When Stella is a teenager, her brute of a father who has immigrated to America (only returning to Ievoli toimpregnate his wife) forces her family to join him. 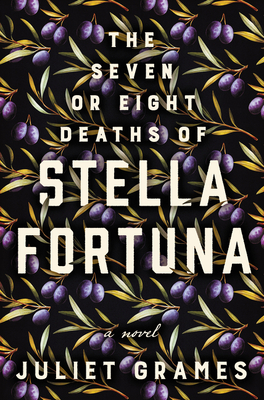 In America, Stella struggles to defy the social expectations and violence placed on Italian women and find her place in the world. I cannot believe this is a debut book. The author weaves a richly layered, fictionalized history of her own Italian immigrant family that is poetic, empathetic, heart-wrenching, and crucial forunderstanding the multifaceted people who comprise our country today.